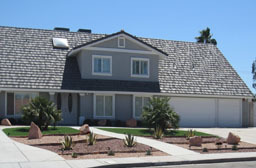 Residential Care Homes (RCH) are private, single-family Residential Homes. They have a maximum of 10 residents and 1-3 caregivers/staff that provide family-like care and services to the residents who reside there. Many Residential Care Homes offer private and shared rooms. When most people think of home they think of their family sitting around the kitchen table talking about the day’s events or everyone sitting in the Family Room watching their favorite TV show. This is the feeling you get at a Residential Care Home. Residential Care Homes are a stark contrast to the large Assisted Living Facilities (ALF) which usually are very well appointed and have a Hotel-Like feel, but lack the family feeling a small Residential Care Home provides. Large Assisted living facilities can service 50-150 residents with only 1-3 caregivers providing care services. They cater more to independent seniors who have the ability to manage and coordinate their own affairs. The resident to caregiver ratio in Residential Care Homes is usually 2-4 Caregivers for 10 or less residents. Caregivers of Residential Care Homes provide a family-like style of care and are usually trained in all facets of providing care and service. For example, Caregiving (bathing, dressing, grooming, and toileting), Medication Management, Meal Preparation, Housekeeping/Laundry and also have training in Caregiving, Dementia, Chronic Illness or other special training. Caregivers are cross trained in all these areas so residents have more access and ability to get the service they need, whenever they need it. They don’t have to wait for the Med Tech or an assigned caregiver to assist with personal care. The cross trained caregiver can assist with any need, any time. They can assist with personal care, medications, meals, snacks, laundry etc. Generally, all of the above mentioned services are all included in the monthly service fee. A good way to describe the family-like style of care provided at Residential Care Homes, is like the care a mother provides her children. Most of us remember our mother always being around. Mom did her work around the house and was always available to handled emergencies when needed. She always knew where the children were and what they were doing. The children also knew where to find mom or could simply just call out her name and she would be there to fix whatever problem arose. She knew who visited us and who our friends were. Mom (and Dad) coordinated all the appointments and activities of the house. Residential Care Homes are designed and function largely in the same manner as any family household with 1 or 2 or people overseeing and coordinating the activities and schedule for each individual family member (Resident) and the family as a whole, personally knowing each resident. For example, the Caregiver, Administrator or Owner schedule your appointments, go with you to your doctor appointments and assist the resident to rely information back to the family. This is a valuable service because this person knows you, your medications and knows how you have been doing because they see you and talk to you on a daily basis. Residential Care homes also allow residents the choice to participate in the daily activities of the household. For example, maybe they enjoy assisting with making dinner or watching dinner be made, setting the table, drying dishes—although it is not required of residents to participate in these activities- residents often enjoy helping out, making them feel useful. In addition, Residential Care Homes are required to offer a variety of actives, as are Assisted Living Facilities, but caregivers of Residential Care homes are allowed to spend more one to one time with residents and can participate in and design activities that cater to each residents interest; puzzles, bingo, crafts, checkers, playing cards etc. This system offers flexibility and continuity of the services and care being provided. Assisted Living, on the other hand, offers services and care with a more structured business model. In Assisted Living Facilities there are many parts, working separately and those parts rarely cross over. For example there may be only 3 caregivers who are responsible for personal care needs (bathing, dressing, grooming) for 50- 150 residents, 1 or 2 medication technicians assigned to manage and administer medications for 50- 150 residents. There is a separate staff for housekeeping, kitchen and transportation. These service providers are not cross trained and are only allowed to provide services for which they are trained. This type of system works well in a hotel-like environment where the resident or “hotel guest” is able to coordinate and manage their affairs, but is less useful when people start to need assistance and start losing their independence. As seniors start to become less independent, it is harder to plan ahead for the amount and type services or care you will need in the future. It is often hard for seniors to be motivated to go to the community room and start up conversations. Maybe they have hearing difficulties maybe they are self-conscious of their limitations. Unfortunately, this often leads to isolation. Most people prefer to stay where they are comfortable in their room or apartment. 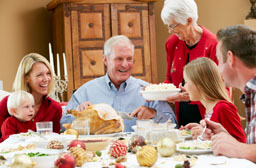 Separation and isolation are less common in Residential Care Homes because it is more family–like where residents can move from their room to the kitchen, family room, dining room pretty easily, with or without assistance and the caregiver (Mom) is with them throughout the day, always there checking in. 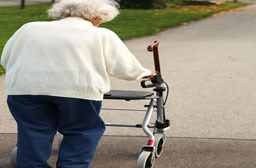 In general, Assisted Living Facilities are set up to provide independent living and not heavy assisted living. Assisted Livings usually provides daily meals, weekly housekeeping and laundry services. 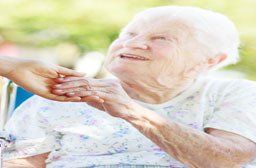 Beyond that care services are offered on an A la carte, level or tiered system. Each level or item is an additional cost, for example; Medication management, personal care (assistance with dressing bathing etc.) These services cost more and depend on the amount and number of times each service is needed. These services need to be planned for and scheduled in advance. Due to the large number of people on the schedule for service in Assisted Living Facilities, caregivers are pressed to stick to their schedule and are not likely to provide extra services if the resident is not being charged for it. In addition, caregivers usually do not have extra time to sit and chat with the residents or watch TV or a movie. Even though most caregivers would like to spend time and do extra for their residents, the Assisted Living System is not designed that way. The Assisted Living-style of care is hotel-like and while you can get to know the receptionist, the dinning staff and the bell man, it is not usually on a personal level and those workers are unlikely to assist with personal care, if and when needed. Going on vacation and staying in a beautiful hotel with expensive add on features is wonderful, but most of us eventually want to go home to our family like environment. 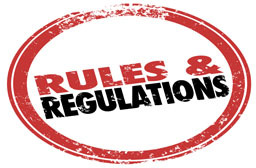 Both Residential Care Homes and Assisted Livings Facilities are licensed under the BHCQC and generally operate under the same laws and regulations. Residential Care Homes and Assisted Living Facilities both are required to have one administrator to manage and oversee care/services and provide protective supervision to the residents who reside in the facilities. 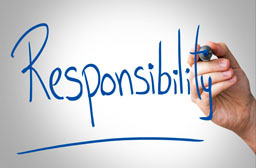 The administrator of a large Assisted Living Facility has the responsibility to provide protective supervision to 50-150 residents, while the administrator of a Residential Care Home will have 10 or less residents to provide protective supervision. There are no state staffing requirements, except for the Dementia Endorsement, which requires one awake person at night and 1 caregiver per 6 resident ratio. Each facility has the ability to decide freely how many care givers are needed. This is true in both Assisted Livings and Residential Care Homes. The low ratio of one administrator to 50 -150 residents could affect the quality and amount of personal attention each resident will receive. 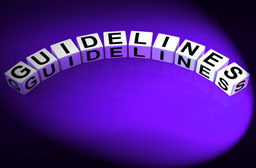 It is likely to be much harder for an administrator of an Assisted Living Facility, overseeing 50-150 residents, to know personally and coordinate all aspects of service and care for 50- 150 people than it might be for the administrator of a Residential Care Home who oversees 10 residents or less. 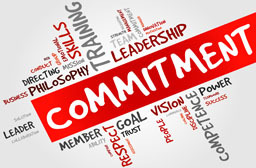 Assisted Living administrators may delegate management and problem solving to other less trained /skilled staff but it still is difficult to coordinate, supervise and get to know residents personally with so many separate operating parts. It is important to consider the owner of each facility and how involved the owners of the facilities are with the administrator, staff and the residents. 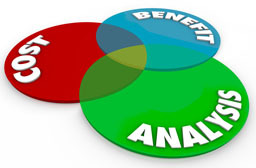 Any facility, (ALF or RCH) where the owners, who have a financial interest and decision making authority, are involved and present in the day to day operations will likely have more incentive to provide a higher level of personalized care and service, than a facility where the owner is not personally involved or rarely involved. Assisted Living facilities may have several owners who do not usually have a direct role in the services or care provided to their residents and may never communicate with the staff or residents. Administration and Ownership does influence the attitudes and actions of the staff. If the staff have a closer relationship with the owners and administration it is likely the turnover will be less and their dedication to the facility and your loved one will also reflect that. Meet the entire care team from administrator, owner, doctor, nurse, and caregivers. 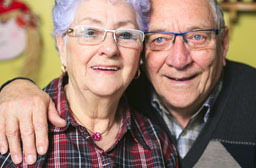 Elder Care is a service and requires human emotion, connection and a relationship among and between the staff, residents and families to make people feel cared for and to go beyond merely doing the physical tasks. Cost effective monthly rate/fees for Residential Care Homes range from $1,500- $5000 for shared or private rooms. The fee is inclusive and usually covers all personal care, medication management, meals, laundry, housekeeping and activities. Comparatively speaking, other senior care choices cost more and offer less care, flexibility and continuity of care. For example, Assisted Living’s cost $2,000- $3,000 per month for minimal assistance. In home care costs $3000 per month for only 4 hrs. a day and Adult Day Care Costs about $2,000 per month for only 8hrs a day, 5 days a week. Before choosing any elder care setting we encourage everyone to look at a Residential Care Homes as a comparative option that is likely to offer a longer term, more cost effective solution. Remember that all senior care choices are service oriented and in any care setting it is the care team, from management, administrators, doctors, nurses and direct care workers who provide the care, caring and feeling good. Be sure to meet the entire team.